British Gas has been forced to pay out £1m to customers after it was found guilty of mis-selling energy deals. Last week, the 'Big Six' energy supplier was rumoured to be facing a £500,000 fine because some of its sales staff members had been found to have exaggerated claims during face to face sales, however Ofgem has now confirmed the figure will actually stand at £1m after taking into account a special fund the firm has also established. Ofgem senior partner in charge of enforcement, Sarah Harrison, said: "Ofgem expects all suppliers to put this poor behaviour behind them and really start acting in a way that will help consumers trust energy suppliers. Where they don't, Ofgem will act." 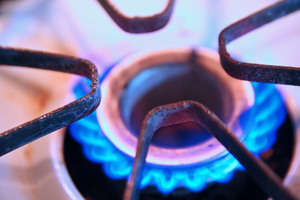 The cases involved face to face sales, specifically where a number of British Gas sales staff were working on behalf of the company in Sainsbury's stores between February 2011 and March 2013. The main issue surrounded the fact some of the sales staff in question were not clearly identifying the fact Sainsbury's Energy was actually being supplied by British Gas. Around 4,300 customers were affected by this mis-selling, and an average of £130 a customers has now been paid to the victims. A further 1,300 customers could not be contacted, so a special fund has been established to help out the firm's most vulnerable customers. The compensation bill stands at £566,000 with a further £434,000 added into the fund. British Gas Residential managing director, Ian Peters, said: "We are very sorry and have ensured no customer will be out of pocket as a result." A spokeswoman for Sainsbury's added: "As you would expect, we have taken this very seriously and ensured British Gas compensated customers." Other energy suppliers including E.On, ScottishPower and SSE have also been punished by Ofgem for various mis-selling offences in the last couple of years, with the energy regulator keen to stamp down on any such activity by suppliers.